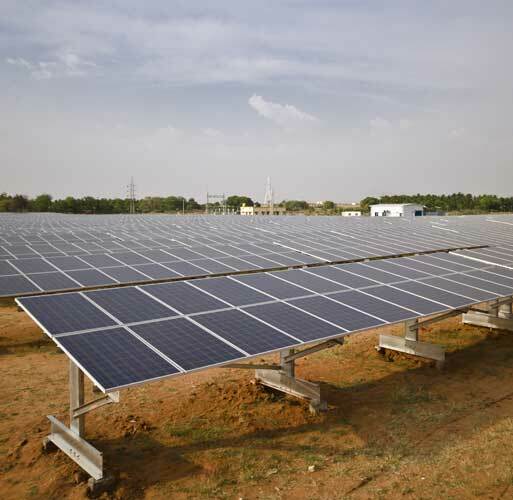 Tata Power Solar successfully completed a 10 MW solar power plant commissioned by Jindal Aluminum Ltd (JAL) in Chitradurga, located 230 km from Bengaluru, Karnataka. Executed in a record timeframe of 4 months from the day the land was made available in January 2012, through this project Tata Power Solar demonstrated leadership in high-efficiency solar power systems and built Karnataka’s largest solar power plant till date. The project resonates of the ingenious design and an engineering team that managed to complete this project in record time by providing a flawless execution and accounted for challenges for a formidable project of this size. 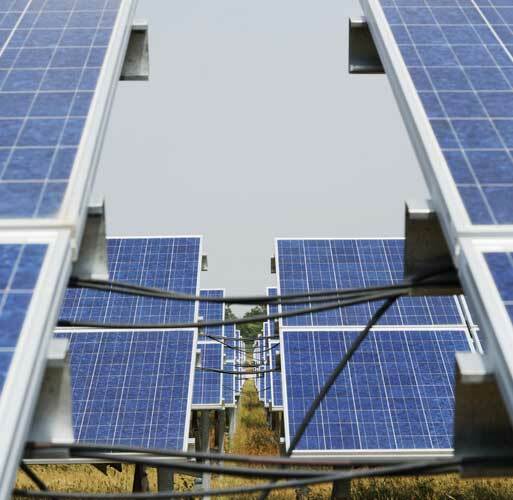 JAL mandated Tata Power Solar to commission a 10 MW solar power plant under the Renewable Energy Certificate (REC) scheme. To provide a sustainable source for energy to Jindal, one of the industry’s renowned manufacturing company, that solely relies on conventional grid connected source of energy for their end-to-end manufacturing posed two-fold challenge – solving for site complexities coupled with a smart plant design. This plant located in Kalamarahalli, near Chitradurga, about 230 km from Bengaluru, Karnataka, has a site classified as complex by terrain due to high wind pressure and a rocky non-agricultural land that is difficult to work with. 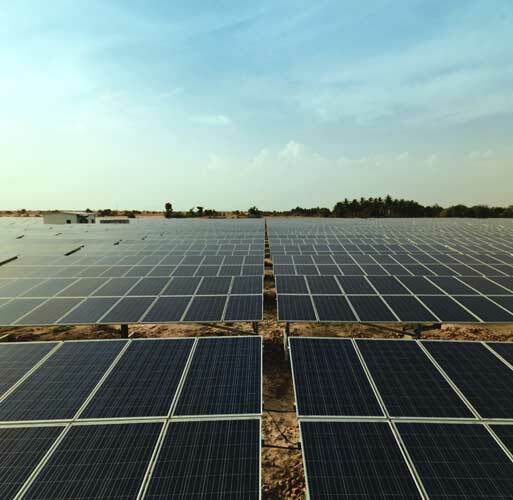 Tata Power Solar engineering team developed a plan to most efficiently convert the 51 acres of rocky non–agricultural terrain to a solar carpet, making this the first and largest EPC project for Tata Power Solar in the state of Karnataka. The project was executed in a record timeframe of 4 months from the time of land acquisition to be commissioned in June 2013. The solar power plant produces over 18,000 MWh (more than 10 million units) of power per year that is enough to power over 70,000 Indian homes. The energy generated from the plant is used by JAL for their captive energy needs and the surplus energy is sold to KERC (Karnataka Electricity Regulatory Commission) to help meet community energy needs. The terrain for the project site had several rocky patches and undulations spread across with few water bodies. Tata Power Solar project team, after analyzing the terrain, adopted a special anchor type foundation method that is most suited to the soil condition at the site. In addition, the plant structure was designed & erected at an optimum tilt, facing south at an adjustable angle of 10°- 40° to maximize plant performance by maximizing efficiency. The project site located in the outskirts of Chitradurga, experiences high wind pressure. Tata Power Solar’s team with their extensive expertise in this field and knowledge base, designed foundations and mounts that can withstand high wind speeds, each drilled and grouted at 8 points and then encased in 1000 m3 concrete. This design ensured longevity of the plant in spite of the tough wind conditions. 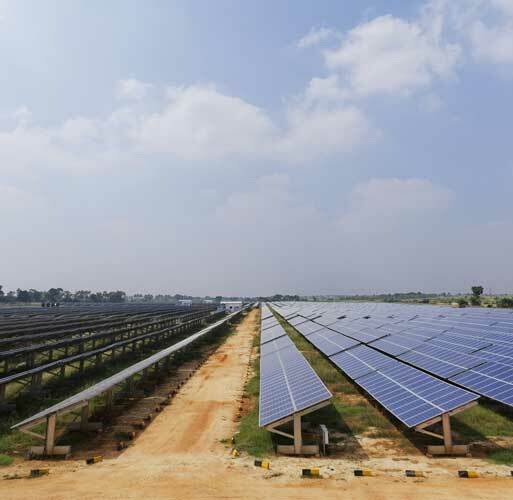 Tata Power Solar faced the challenge of implementing a project design that did not interfere with the 18 acre natural water reservoir, part of the project site. Tata Power Solar’s team planned for this and designed the modules array so that the water channel was not disrupted during the ground mounting process thereby maintaining the ecological balance of the site. The power plant generates 18,000 MWh of electricity per year, which satisfies JAL’s captive energy needs and produces surplus electricity which is sold to the regulatory commission. This surplus fed into the Karnataka Electricity Regulatory Commission grid helps power the neighboring suburbs. By allowing the local communities to develop new skills in functions like construction, operations and maintenance, thus provided a sustained livelihood for the local communities.